Elizabeth Fitting is an anthropologist who explores the culture and politics of food and agrarian livelihoods in relation to rural migration and displacement in Latin America. Her ethnography The Struggle for Maize looks at contested notions of agricultural efficiency, risk and culture in the Mexican debates about genetically modified corn imports under NAFTA. The book also explores the effects of such imports and policy on a community of indigenous migrants and maize farmers, and the ways neoliberalism is constituted and experienced through gender, race, class and generational differences. Dr. Fitting has also researched post-revolutionary irrigation management in the Tehuacán Valley, Mexico, where rural subjectivities have been remade through violent conflict and demands on the state for water rights. More recently, her focus has shifted to examine seed regulations and activism in Mexico and Colombia. 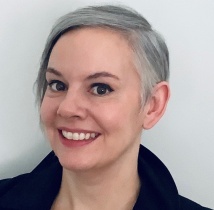 Liz’s ongoing research and teaching interests focus on: Food justice; Transnational migration; Agrarian livelihoods and development; Culture and political economy, Commodity studies and globalization; Gender, sexuality, and ethnicity. She is an Advisory Board member for Antípoda: Journal of Anthropology, Universidad de los Andes, Bogotá, Colombia, and an International Advisory Board member for the Journal of Peasant Studies. Gutiérrez Escobar, L., and Fitting, E. 2016 The Red de Semillas Libres: Contesting Biohegemony in Colombia. Journal of Agrarian Change, doi: 10.1111/joac.12161. 2016 “From working the farm to fast food and back again: Rural Mexicans in the Neoliberal Food System” in eds. Meredith Abarca and Consuelo Salas, Latin@s' Presence in the Food Industry: Changing How We Think about Food University of Arkansas Press. Pp. 77-100. 2014 “Cultures of Corn and anti-GM activism in Mexico and Colombia” in (eds) Carole Counihan and Valeria Siniscalchi, Food Activism: Agency, Democracy and Economy. Berg. 2012 Japanese translation of The Struggle for Maize, with new preface. Translator: Minoru Satomi. Nobunkyo, Rural Culture Association. 2011 The Struggle for Maize: Campesinos, Workers, and Transgenic Corn in the Mexican Countryside, Duke University Press. 2007 “‘Más sangre que agua’: Reclamos al estado en el Valle de Tehuacán” [‘More blood than water’: Claims on the State in the southern Tehuacan Valley] in (ed) Francisco Gómez Carpentiero, Paisajes Mexicanos de la Reforma Agraria: Homenaje a William Roseberry. Colegio de Michoacán.